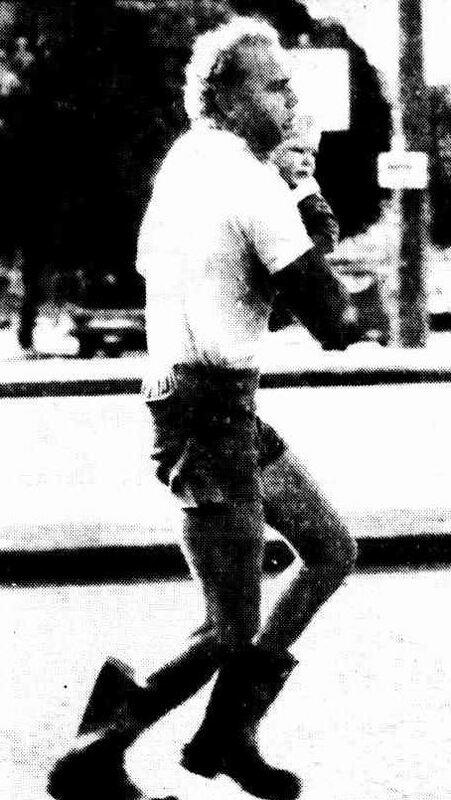 Plain Clothes Constable Handran was fatally shot by Tony Leif Dolerud at Wynnum, Brisbane on 29 June 1989 while attending a serious domestic dispute in company of his partner Plain Clothes Constable ( Stephen ) Clarey ( 24 ). Dolerud had earlier stabbed his wife in an argument, and as a friend tried to take her to safety, armed himself with a high powered rifle and began firing indiscriminately into the street. Plain Clothes Constable Handran was fatally shot as he alighted from the police vehicle outside the man’s unit. Constable Clarey was also shot as he took shelter behind the police vehicle. Dolerud later took his own life ( suicide ) after killing his two-year-old daughter. Four others were wounded. On Monday 3 July 1989 Brett Handran’s family were joined by a large contingent of his colleagues including senior officers of the New South Wales, Victorian and Australian Federal Police Forces. The Service was conducted at the Queensland Police Academy Chapel with full police honours. 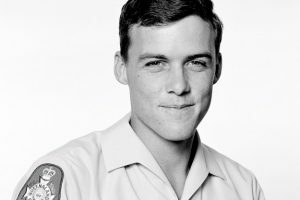 BRISBANE: On the day that all the headlines were about the Fitzgerald report and its recommendations for massive changes to the Queensland police force, not many would have been thinking of Constable Brett Timothy Handran, 23, who was gunned down last Thursday when he went to investigate a domestic dispute. His funeral was held an hour after the first embargoed copies of the Fitzgerald inquiry report were handed to state Cabinet and journalists yesterday. More than 300 police and mourners attended the 10am service. Constable Handran was shot through the heart at a block of welfare flats in the bayside suburb of Wynnum. The man who shot him also killed a little girl and then himself. Four people were injured, including another officer, Constable Stephen Clarey, 24. Among the mourners were police representatives from NSW, Victoria and the ACT. 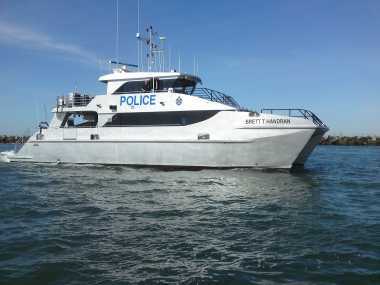 The Queensland police contingent was headed by Acting Commissioner Ron Redmond. Some officers at yesterday’s service could not hide their frustration over Constable Handran‘s death, at a time when police morale had taken a battering. Constable Handran, a single father, was attached to the Juvenile Aid Bureau. 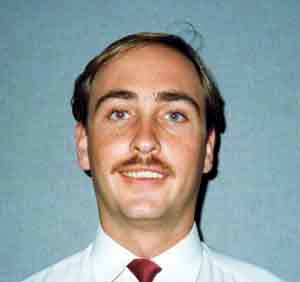 He and Constable Clarey were in Wynnum on another police matter and were the first to respond to the emergency call. BRISBANE: The Queensland Government has been criticised for not providing police with bullet-proof vests following a shooting in suburban Wynnum yesterday in which three people were killed. A two-year-old girl and an unarmed policeman were shot dead outside a flat in Carmichael Court by a man who later turned a rifle on himself and committed suicide. Police said the shooting was the result of a domestic dispute. The Opposition spokesman on police affairs, Terry MacKenroth, said every police car in the state should have at least two vests in it to protect officers called to emergency situations such as yesterday’s siege. “Mr. Cooper, along with every other Ahern Government minister, including Deputy Premier Bill Gunn and the Premier himself, must take the blame for the death of a young police officer today,” he said. Liberal leader Angus Innes said the Government had promised two years ago to provide police with bullet-proof vests. He said that it was only in June this year that 1400 bullet-proof vests for police had been finally approved. “Police know that they are more likely to be killed attending a domestic disturbance than in any other area of police work,” Mr Innes said. .
“The minister for Police, Russell Cooper, said last night that he had ordered a meeting today with Acting Police Commissioner Don Braithwaite to investigate the incident. “Police said a man, a woman and two children had gone to the Wynnum flat, occupied by the woman’s former de-facto husband, to collect some of the woman’s property. Police believe an argument started, which resulted in the woman being stabbed several times in the back, chest and arm. As she fled with her male companion the man in the flat fired a rifle from an upstairs bedroom window, wounding the man in the back. Police said as the couple drove to a nearby doctor’s surgery for help, a woman neighbour apparently attempted to carry the injured woman’s two-year-old daughter to safety. The gunman fired another shot from the bedroom window, killing the girl and injuring the woman. They said two plain-clothed officers from the Juvenile Aid Bureau who were in the area went to investigate. The gunman then opened fire on the officers as they left their car and 23-year-old Constable Brett Timothy Handran was shot in the back and later died in hospital. His partner, Constable Stephen Clarey, 24, suffered a bullet graze to the head and was not expected to be detained in hospital overnight. The woman, her male companion and the female neighbour were also being treated in hospital. A police spokesman said when the Tactical Response Unit arrived, they were told an eight month-old baby boy was still in the flat with the gunman. They forced entry through the kitchen and rescued the baby, who was crawling on the floor. About 45 minutes later police again entered the flat and found the gunman dead in a bedroom with a gunshot wound to the head. A man with a baby in his arms runs from the siege area. So long Mate, from a Queenslander who will always be proud of you and the Police Force. serving, trusting and caring for others. Dearly loved by Yve, Paul, John and Clare. 14.8 metre Norman R Wright and Sons fast patrol launch, triple diagonal planked hull with a dynel sheath. Powered by twin 420 hp Detroit 6v 92 series motors. 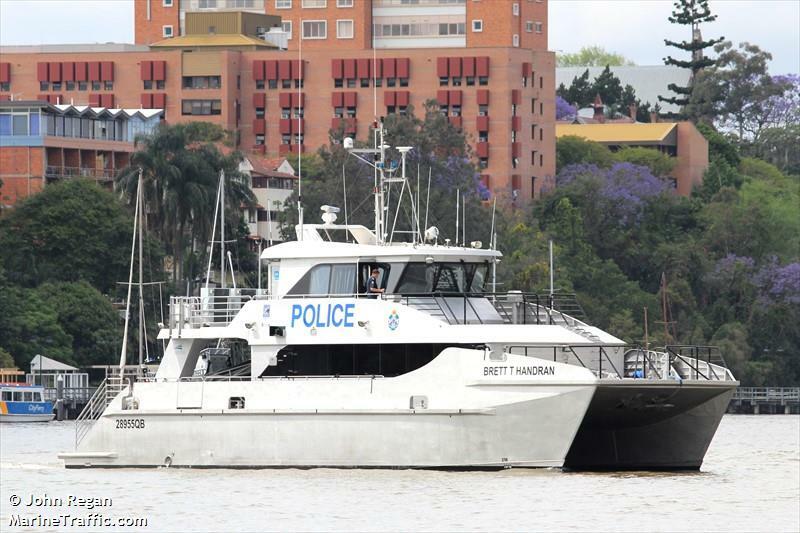 The Brisbane based ‘BRETT T. HANDRAN II‘ was delivered to the Queensland Police Service in March 2009. Built at a cost of over $1m, and one of three similar vessels (‘W.CONROY V’, ‘LYLE M. HOEY IV’ ), the ‘BRETT T. HANDRAN II‘ was built by Austral at their Margate shipyard just south of Hobart, Tasmania. 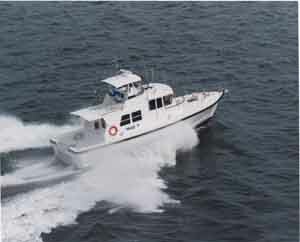 The ‘BRETT T. HANDRAN II‘ is a 22 metre aluminium catamaran powered by two MTU Series 60 diesel engines, each rated at 499kw, with Twin Disc Quickshift MGX-51355C gearboxes driving two Bruntons five-bladed fixed pitch propellers giving a maximum speed of 26 knots (cruise speed 20 knots) and a maximum range of approximately 900 nautical miles. 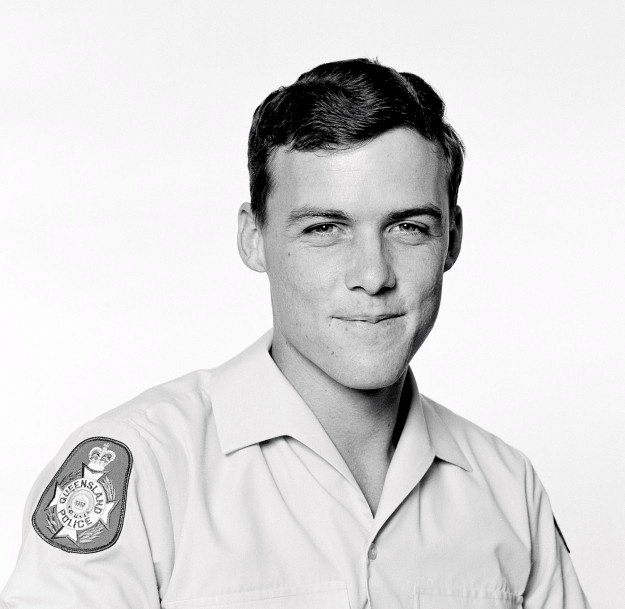 Robert Rodgers joined the Queensland Police as Constable number 5904 on 10 October 1986. He served at the following stations: City; Mooroka; Brisbane Mobile Patrols; Inala, Brisbane CIB and Wynnum and retired on 7 February 1990. On 29 June 1989Constable Robert Rodgers and Senior Constable Peter Edwards of the Wynnum Police, were told to attend an incident at Carmichael Court where a man was going berserk with a gun and where several persons had been shot, including Plain Clothes Constable Brett Handran. Rodgers and Edwards arrived at Carmichael Court, alighted from the vehicle and took cover. Constable Rogers ascertained from local residents the approximate location of the gunman and learned that a child and woman had been shot. Constable Rogers found a position of safety close to the gunman’s location and communicated with the man to negotiate access to the wounded people. Without thought for his own safety, Constable Rogers successfully removed the child and woman from harm’s way. Constable Rodgers was awarded the Star of Courage on 18 April, 1991 for displayed conspicuous courage. The Star of Courage is awarded for acts of conspicuous courage in circumstances of great peril. It is the second highest Australian Bravery Decoration. 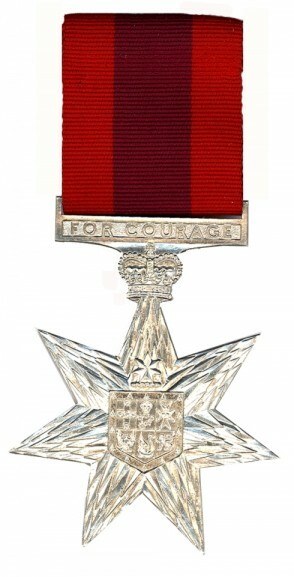 Only four Queensland Police officers have been in receipt of the Star of Courage since the award was established in February 1975. The book – BRAVE, written by Mark Whittaker and first published in 2011 by Pan MacMillan Australia P/L also goes into further detail about this event.